I offer the next in my occasional series on infrastructure. In the old days, they knew how to make them both functional and beautiful. Here's an example. 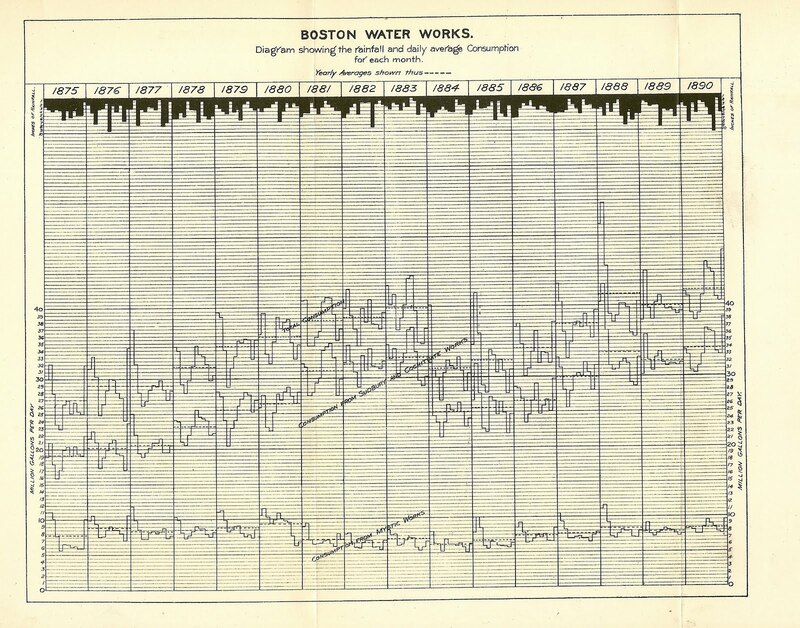 From the Brookline Historical Society, we learn that the Fisher Hill Reservoir was designed Edward Philbrick, Boston water systems engineer, who planned two rectangular underground reservoirs. Built in 1875 on a 4.5-acre site, the reservoirs were filled with water pumped from the Charles River, and served as a back-up water supply for the town. The other reservoir on the hill was built by the city of Boston in 1884. The 10-acre site includes a stone gatehouse that was probably designed by Arthur Vinal, Boston's city architect. Let's talk about that gatehouse. This was the Richardsonian Romanesque period in New England architecture. (Think of Trinity Church in Copley Square.) Two or three or more types of stone were often used in the construction, creating a pattern of color and texture that was quite special. Intricate carvings were also included as design elements, like this sandstone leaf and vine pattern. The meticulous attention to detail that was present in the construction of buildings and facilities was also evident in the day-to-day work of those running the metropolitan water system. Here, for example, is the hand-drawn diagram showing the rainfall and daily average consumption for each month for several years, including the period during which these reservoirs were built. 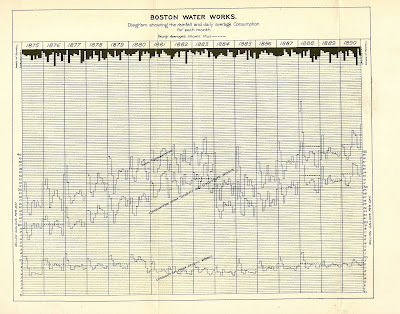 It is taken from the Twenty-Fourth Annual Report of the City Engineer, Boston, for the Year 1890. I never knew that Frederick Law Olmstead ever designed a subdivision (Fisher HIll). He is better known as a landscape architect. He did another in Swampscott, MA, and I think his firm did a portion of Seattle, WA, too.